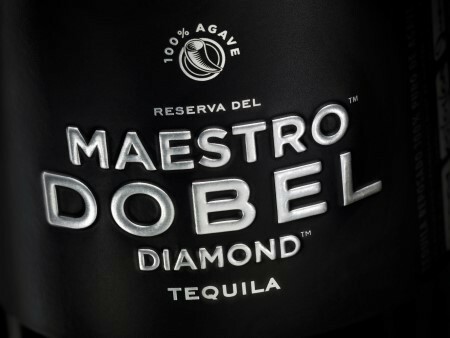 Reserva del Maestro Dobel Diamond Reposado Tequila, a 100% Agave blend of Reposado, Anejo, and Extra Anejo Tequilas which have been gently filtered giving the Tequila an incredible Diamond Clarity and crispness. 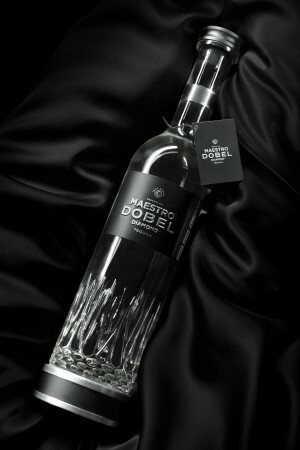 Juan Dobel, working with Maestros Marco Anguiano and Luis Yerenas, wanted to create his own brand and offer Tequila Aficionados something truly unique. Each Agave used is grown for 8 to 10 years, and hand selected at one of a small number of our family's best quality producing ranches. This hand-crafted product is produced in small batches and aged in new oak casks from Southern Europe. 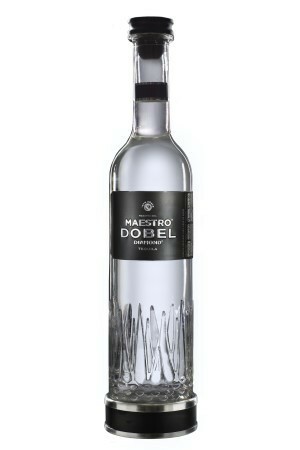 A unique and mild spirit, containing many smooth aromas and flavors, minus the standard Agave attributes. Very drinkable. Tasted blind it would be difficult to categorize. Clean, soft, and overall delicious. Tremendous value. A little bit different - in a good way. Enjoyed very much. When I drank this tequila one word usually came to mind: dynamic. Every time I drank it I experienced a new taste. It was great. It was gone in no time though. This was my first non blanco tequila aside from some mini bottles here and there. The price on here is perhaps outdated or I just got really lucky when I bought it for $31.99. 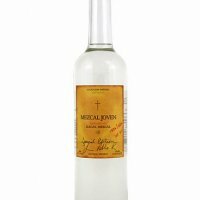 I would purchase this tequila again and would probably pay upwards of $50.00 if I had to. Very disappointing tequila. The flavor was sharp, not smooth at all. 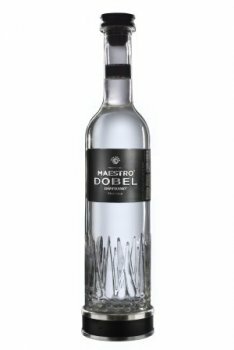 I expected much, much more from this premium-priced tequila, and everyone I've shared it with has agreed that this is not worthy of the high price, nor the very high reviews it has received. Avoid this one. Quite smooth, creamy & soothing. An instant impression of quality & something 'new world' & modern. Strong agave notes, vanilla, oak, spearmint & touch of earthiness & spice. Overall quite clean & mature. Semi-sweet agave, vanilla, wintergreen & intense spice. Quite rich with a nice density & assertiveness. The spice level builds with time on the tongue - black pepper, almost like cinnamon & black licorice. The overall sweetness level is fairly pronounced yet never overdone. Some heat but easily within check. Nicely oily & mouth coating. Vanilla, mint & spice remain -but becomes almost instantly dry, earthy & salty. Reasonably long. A well designed & crafted spirit. Supposedly a blend of repo, anejo & extra anejo - the extra age/maturity shines through. The oak influence is apparent yet subtle, coming through mostly in the finish. I dig the vanilla & anise flavors throughout & the mouth feel is spot on. In a perfect world the sweetness level would be a tad lower (10%?). Reasonably priced to boot. Opens with a touch of water - less heat, more earthiness, more salt, more bitterness & seemingly more assertive spice. Very nice, go buy a bottle...it's worth it.